Valentines is on the way, coming up and fast! Now is the time to start practicing making these beautiful babies! 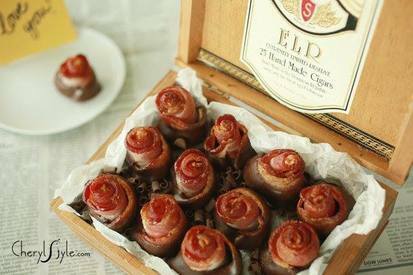 You know your Valentine will absolutely LOVE these savory Bacon roses dipped in sweet chocolate! For the best impression, temper your chocolate. Make your Valentine feel that you went all out just for them!